would come and hunt you down? Cause i heard i think one of the creators said that this would happen, but i haven't looked it up myself. Never happened to me. Perhaps it was something never implemented or I just never killed enough citizens. The only thing that happened to me was the mission ending. Killed too many innocents. I like the Dark Blade and Concrete Jungle. well i spent all last night killing innocent people and getting dishonorable kills but know i have'nt seen any other pred besides the one you fight in the weather level and last rites. The classic P1 Pred is my favorite. He looks the best IMO. I dont think it looked that good in the game. If it was exactly like the one in part 1 where it is very detailed and stuff, I would've picked it, but it wasn't so i didn't. I'm actually a fan of all of them. Each one is so different, that choosing them makes you feel like an entirely different Predator each time. All of them are unique (especially the ones made specifically for Concrete Jungle), and bring a different feel to the game. With that said, I still do have a fave, and its the Dark Blade Clan costume. I liked the dark blade clan costume. 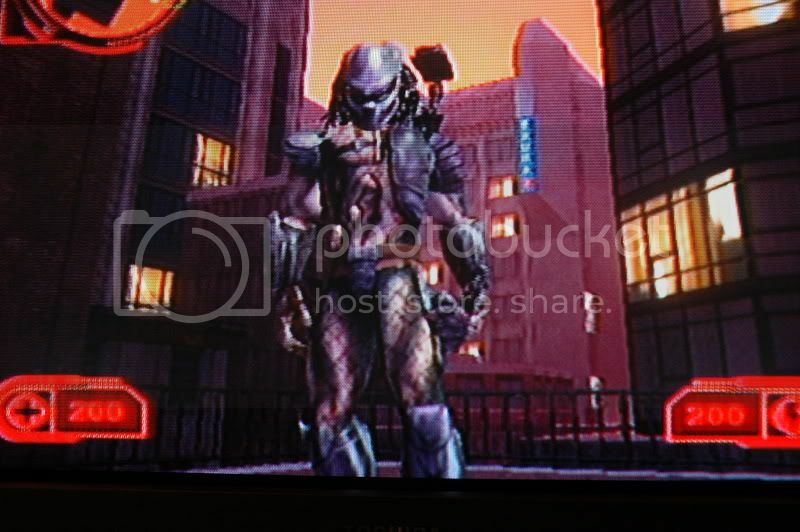 thats... weird (I dont have the game) but I had the impresion that the celtic predator armour was included in the game. I remmember seeing it somewhere... ill check and post it if I find it. I'm currently using the Ritual Armors. Looks awesome.